illus. by David Clark. 176p. bibliog. index. notes. photos. reprods. Charlesbridge. Oct. 2018. Tr $18.99. ISBN 9781580897433. 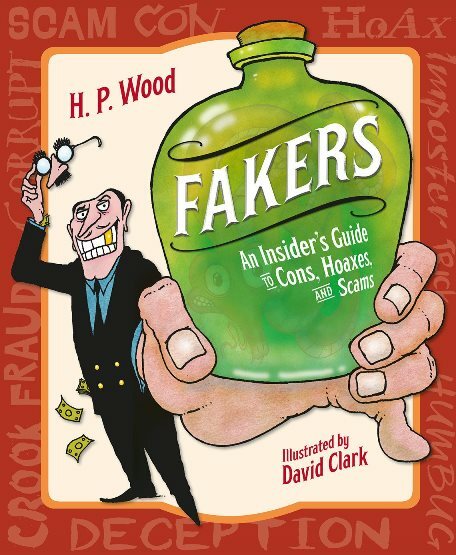 Gr 5–8—In nine topical chapters, this volume describes the ways in which people have swindled one another on the street, in their personal relationships, and in the media. Featuring anecdotes ranging from hilarious to disturbing, the book covers quite a lot of territory, from the 18th-century Rabbit Woman of Godalming to contemporary issues with fake news and Internet hoaxes. Although the text seems somewhat dense at first glance, readers will soon be fascinated with the mind-boggling stories of a wide variety of cons, which are written in a style that deftly balances incredulity with seriousness when sharing the bizarre facts and takeaways from each situation. Scattered throughout are short spotlight stories, and frequent footnotes serve to inform and amuse readers. Visual elements include contemporary photos, historical images, and Clark's colorful, cartoony drawings; back matter includes ample suggestions for further reading, arranged by chapter topic. VERDICT This engrossing read is a solid choice for medium to large nonfiction collections.